Electronic Structure – Online Physics Course | Start now with Lecturio! Prepare for your MCAT exams with Lecturio! 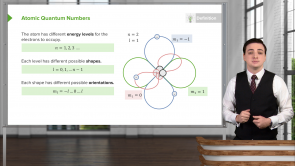 This course covers the electronic structure of atoms, including the Bohr model of the atom, the structure and shapes of different energy levels and orbitals, the organization of the periodic table, the uncertainty principle, and more. 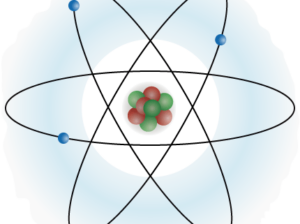 Learn how the electronic structure of atoms accounts for a great variety of complex behaviors in the macroscopic world and how to describe atoms in terms of their place in the structured periodic table. You will also be taught about the Pauli exclusion principle and its effects on the structuring of orbitals, the cause and usefulness of absorption, and emission spectra. Profit greatly from this high-yield summary of the foundational electronic structure of the world, and from knowing how we can use this structure to understand microscopic behavior. Students will also benefit from the clear and visual walk through these important topics. Your tutor is Jared Rovny, a Yale University graduate student who has prepared students for their MCAT exams for several years. He will explain even complicated concepts in a clear and visual way. Start learning with Lecturio and high-quality content today!